Ski Holidays to Kaprun in Austria 2017 & 2018. This fabulous ski resort is set beneath the beautiful Kitzsteinhorn Glacier. This bustling resort is one of Austria’s most visited ski locations due to the excellent ski slopes and a host of apres-ski to suit everyone. Lots of bustling bars and restaurants plus the more family orientated venues ensure the fun is not just to be found out on the slopes. Kaprun is a small but picturesque ski resort that offers great opportunities for all levels of expertise in both skiing and snowboarding. Kaprun has a relaxed atmosphere and they welcome visitors with their warm hospitality. Kaprun is also a child-friendly resort that has a children’s ski play area for the little ones to enjoy. Although lying at a comparatively low altitude, less than 800m, it promises good snow cover throughout the season. Both skiers and snowboarders will find snow covered slopes well into early summer. This is Austria’s first glacier ski region at the Kitzsteinhorn and the lifts and cable cars are open almost all year through. Whether you are a beginner to skiing, or are more advanced on the piste – whatever your ability you will find this ski resort a perfect choice. The lifts here give quick and easy access to the slopes and just one ski pass will give access to the whole area. There are many ski and snowboard schools to be found here. You can choose to learn on an individual basis with one to one instruction, or in group lessons. Tuition is available in skiing for children from 4 years old and in snowboarding from 8 years old. There are three top snow parks which are a real treat for snowboarders and freeskiers. Set on an area of 30,000m2 and with over 70 obstacles, this is one place not to be missed whilst visiting Kaprun. Learners have a choice of two areas with nursery slopes. For intermediate skiers there are over 60km of pistes available, the majority of which are blue runs. The more advanced skiers here have a choice of truly exhilarating black runs, mogul fields and off-piste skiing. There are 7 black pistes, 19 red pistes and 31 blue pistes, the longest of which is 8kms. There are many other activities to be found whist staying in this fabulous resort. The Optimum’ Sports Centre has both a swimming pool and a fitness centre. Other activities in Kaprun include ice skating, bowling, sleigh rides and tobogganing. Kaprun nightlife can be fairly low key and much of the evening entertainment is provided by the larger hotels. However there are about 9 bars in the resort and some of them do provide music and a really lively atmosphere. You have great choice when eating out as there are around 30 restaurants to choose from including Italian, French and the more traditional fare. Plus there are some fast food eateries for those that like to stick with what they know. Typical costs are 22 Euros for a bottle of house wine, 3 Euros for a beer and around 5 Euros for a burger with fries. Accommodation in Kaprun varies from chalets and apartments (where you can cater for yourselves or choose to eat out) to budget hotels on a bed and breakfast basis or there are 5 star hotels with a-la-carte dining. You can choose your accommodation according to your budget and preferences very easily. Kaprun shopping can be fairly limited, although the supermarkets do supply the usual essential holiday provisions, while the sports shops cater for the purchase or hire of equipment and clothing. However, if you have a day free for shopping then why not explore Salzburg for a day? Whether you want to treat yourself in one of the many designer shops, or even if you are on a mission to find a last minute souvenir for a friend – Salzburg will definitely have what you are looking for. Whilst purchasing souvenirs from your Austrian trip why not catch up on some local culture too? After all this city is the home of the ‘Sound of Music’ and Mozart. Kaprun now attracts more than 700,000 guests annually and it is easy to see why. 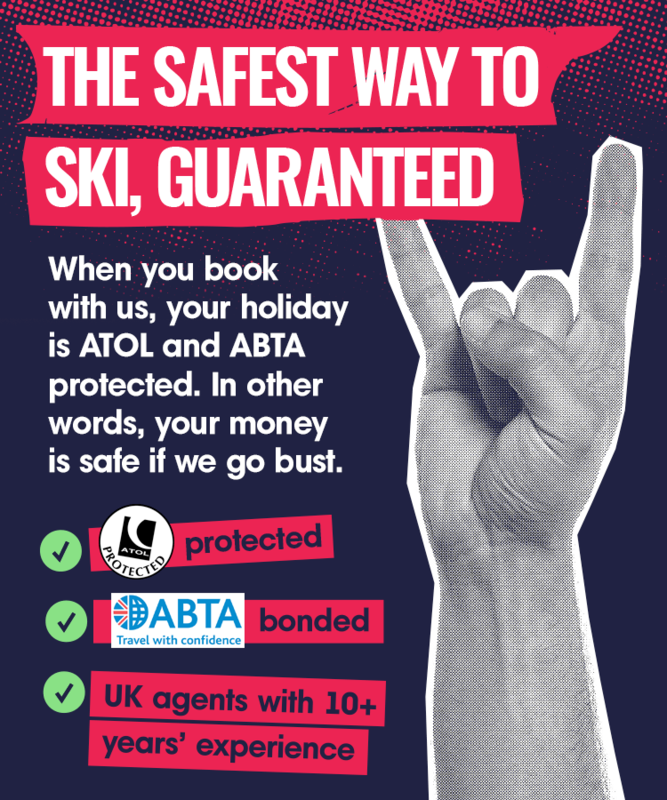 Guaranteed snow, slopes to suit all levels and abilities, a wide range of other recreational activities, a relaxed atmosphere which makes it a great resort for families, great choice of places to eat and accommodation choices for all tastes and budgets. Kaprun ski resort has it all and just proves that 5 star skiing doesn’t mean a 5 figure price tag. Here you can enjoy the quality without paying the premium prices.